As we round out the week, there are a few odds and ends left over from the end of season interviews, mostly concerning plans for the summer and next year, that I wanted to get out there. 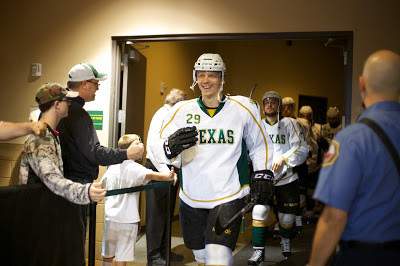 Alex Chiasson is obviously a player the Dallas Stars have their eye on and many anticipate he won't play another game in Cedar Park, given his end of season heroics in Big D.
"For me it's a big summer," said Chiasson. "You can't take anything for granted. You have to come in and be a player that can play. [Dallas Stars GM] Jim Nill told me yesterday, 'If you're in my top 12, you're going come to Dallas and play. If not, you'll be in [Cedar Park].'" Chiasson had some shoulder issues during the season, twice missing time due to injury. He told me Monday that he will not be needing offseason surgery. Last summer, he spent time with nutrition and strength guru Gary Roberts. He is undecided as to whether he will be working with Roberts again this summer. Colton Sceviour was among many players tweeting their thanks to the fans and cleaning out their apartment yesterday. Sceviour got into his second NHL game this season and is looking for more this coming season (something he can finally have a comeback for when his dad pokes fun at him). It seemed that, for whatever reason, he had been passed over for callups. No question the new GM and coaching staff in Dallas will give him a chance to prove his worth anew. In his time with Dallas, he learned a lot about what it takes to be an everyday NHLer. "There's a big jump from this level to that level," he said. "You see up there that even the big skill guys, you try to knock them off the puck, and you can't. Everyone is so solid on their skates. I want to work on that, get in the corners and be able to hold off guys and gain possession. I just want to get stronger and more solid on the puck to the point that I can make a statement in training camp." All signs point to camp being pretty wide open. If Sceviour can make his point in training camp, he might not return to Cedar Park either. Another player who has been with Texas all four years, captain Maxime Fortunus, was on a one-year, two-way contract this year to Dallas. When it expires on June 30th, it's still pretty up in the air what the next step will be. "I've been thinking a lot about it, but I still don't know what's going to happen," said Fortunus. "Coming back here is a good option. It's a good option and one of the best places in the league. You have to think about family and what's best for me as a player. I don't know right now, but I should know more in the next couple of weeks." 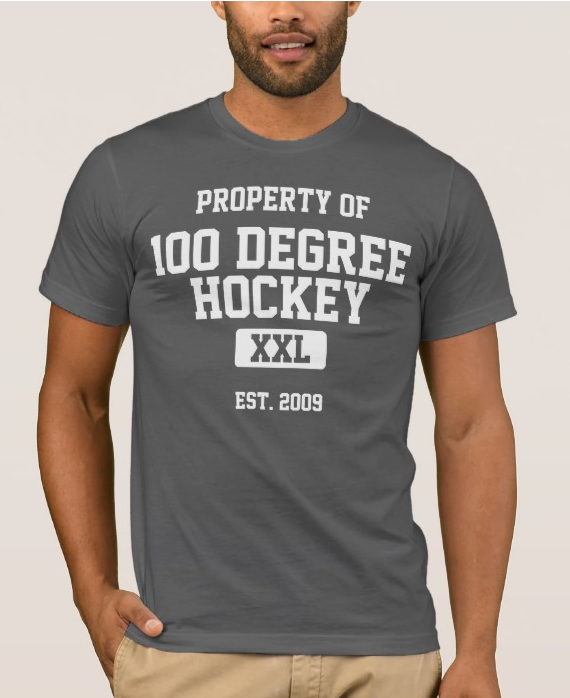 And speaking of location changes, the Dallas Stars are looking to fill their head coaching position and coach Desjardins has been guaranteed an interview. As of Monday, Desjardins and Nill hadn't discussed anything regarding the job or the interview. "There's a lot of things going on up there and right now I'm focused on here," said Desjardins. "We'll see what happens." Regardless of what happens, Desjardins is extremely grateful for the season that he had here in Texas and is already thinking about how to improve the club for next season. "The fans and the team have done such a great job here," he concluded. "I was so fortunate to walk into the group that I did this year." Who still has contracts with Texas/Dallas for the 2013-14 season?